Dr. Jacob Hill is a licensed naturopathic physician and cancer researcher who specializes in integrative oncology. He joined Dr. Amy Littlefield at Vermont Wellness and Integrative Oncology to provide further support for patients. Dr. Hill has extensive training in complementary and integrative medicine, and specializes in creating personalized, integrative health plans for patients. With a focus on patient safety, he believes in tapping into the best of both conventional and complementary strategies to support his patients in achieving their optimal health. Licensed naturopathic physician (ND) by the State of Vermont. Educational accreditation by The Council on Naturopathic Medical Education. As a licensed physician, Dr. Hill is able to provide a comprehensive range of naturopathic treatment options, as well as order lab work and bill insurance. Using the least invasive methods first, he will work with you to identify and treat the root cause of illness for improved whole health and quality of life. The bachelor of nutritional sciences degree provided Dr. Hill with a strong foundation in nutrition and using food-as-medicine. Nutrition is an essential element of naturopathic medicine and an important aspect to a strong integrative oncology treatment plan. Dr. Hill is one of the few individuals to carry the MSiMR distinction. This master’s degree has trained Dr. Hill to be an expert in comprehending and conducting integrative medicine research. Dr. Hill relies heavily on research to know what is safe for his patients, and which naturopathic interventions will work best for any given situation. He has conducted and published numerous research studies, including cancer research in Malawi, Africa. Some of Dr. Hill’s previous publications have helped shape the field of naturopathic oncology. Through an intensive four-year graduate program at the National University of Natural Medicine, Dr. Hill refined his understanding of how naturopathic medicine could work alongside conventional cancer treatment to enhance the patient experience. Dr. Hill has completed numerous rounds of board examinations and maintains his continuing education to remain an active physician in the state of Vermont.. The National University of Natural Medicine (NUNM) is an American Association of Naturopathic Medical Colleges (AANMC) Member School. Dr. Hill was selected for, and completed, a competitive two-year clinical residency at Cancer Treatment Centers of America near Chicago, Illinois. The residency program provided extensive experience in both conventional cancer treatment and supportive care for cancer patients. Dr. Hill gained experience in treating patients with every type of cancer, and worked alongside numerous medical oncologists, surgical oncologist, radiation oncologists, and additional supportive care providers. Completing residency has provided Dr. Hill with the eligibility to sit for his specialty board exams to become a Fellow of the American Board of Naturopathic Oncology. In 2018, Dr. Hill joined Vermont Wellness and Integrative Oncology in Middlebury, Vermont. He sees patients both in-person and via telemedicine to optimize their health through their cancer experience. Dr. Hill can assist with prevention, survivorship, or during active cancer treatment. He specializes in managing herb/drug interactions, reducing treatment side effects, and enhancing quality of life. Dr. Hill also holds a position of postdoctoral research fellow at the University of North Carolina, Chapel Hill. Dr. Hill conducts complementary and integrative medicine research in cancer, and manages studies both domestically and internationally. Dr. Hill’s research interests include cancer, dietary supplements, telemedicine, and global health. The clinical residency in naturopathic oncology at CTCA provided specialized medical training in integrative oncology. Dr. Hill has become an expert in how to safely and effectively integrate natural products alongside conventional cancer treatment to support a patient’s health while avoiding interactions with their cancer treatment. During his postdoctoral fellowship at NUNM, Dr. Hill completed and published the Naturopathic Oncology Modified Delphi Panel. 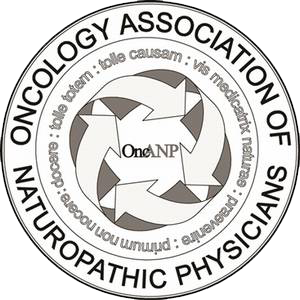 This publication collected the opinion of numerous experts in naturopathic oncology to summarize their approach to the clinical practice of naturopathic medicine in cancer care. Dr. Hill volunteered with Naturopaths without Boarders to provide acute and primary care through several mobile clinics to local residents in Cap Haitian, Haiti. Dr. Hill continues to have a strong interest in global health, both clinically and through research.